Sharon Anslow started the campaign after being involved in a recent accident. Photo credit: Willie Urquhart – WHFP. Stickers in hired cars, improved signage and leaflets in tourist accommodation have all been suggested as practical moves to encourage visitors to the Highlands to remember to drive on the left. 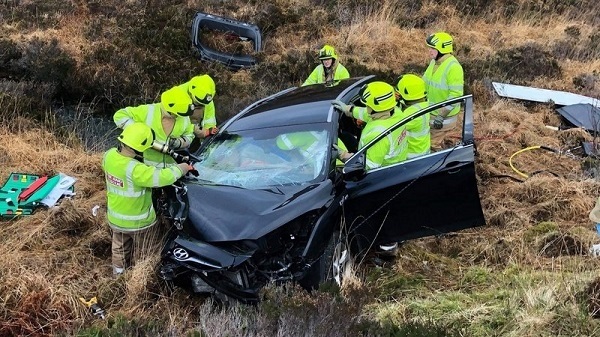 An awareness campaign on the issue has gathered recent momentum thanks to the efforts of a Skye woman who was involved in an accident near Sligachan at the end of last month. Sharon Anslow was injured in the crash on the 29th of December – an incident which she says happened after she moved to avoid an oncoming car on the same side of the road. In the wake of the incident Sharon, from Carbost, launched a ‘keep left’ petition and her work has been backed by local politicians. Last weekend Sharon met with MSP Kate Forbes, Skye Councillor John Finlayson and Skye police Sergeant Bruce Crawford to discuss ways to bolster the awareness campaign. Calls have been made for Transport Scotland to install extra signs and paint new road markings, while Visit Scotland are being asked to support a leafleting campaign. Dashboard stickers are also being organised for local car-hire companies, with the target being to pressure national firms to follow suit and install similar notices inside all their vehicles. Police plan to aid support to the campaign by stopping and issuing advice to drivers as they cross the bridge. Firefighters worked to free Sharon from her car following the accident. Photo courtesy of Sharon Anslow. Kate Forbes MSP said: “It was a very constructive meeting with Councillor John Finlayson, Sergeant Bruce Crawford and Sharon Anslow. 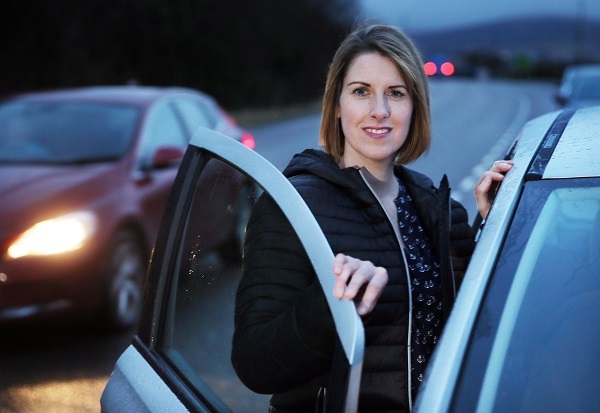 “We had a robust conversation about road safety in Skye and Lochalsh and what further actions we could take to change this. “Sharon is a remarkable woman as it’s only a few weeks since she was in a traumatic accident and already she’s campaigning and working to ensure there are fewer accidents. “Her ‘Keep Left’ campaign has galvanised people across the world, some of whom have been to Skye on holiday. “I will be organising the next meeting with Transport Scotland to discuss signage, road markings and other things. “In the meantime, I’ll be writing to VisitScotland and all the car hire companies to ask them to ensure there is information for visiting drivers. 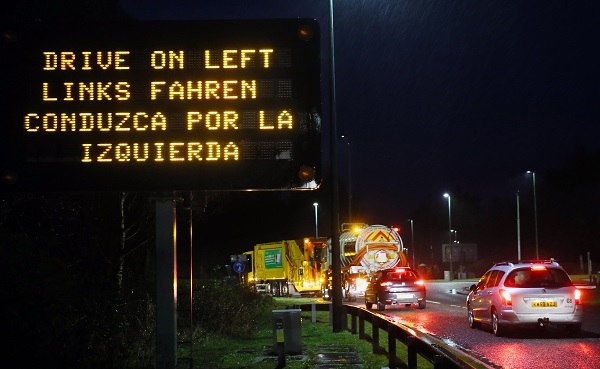 Signage located near the Skye Bridge informs drivers in English and Spanish to keep left during a busy period of traffic earlier this week (January 2019) Photo credit: Willie Urquhart – WHFP. Councillor John Finlayson added: “It was very useful to meet up with Sharon, Kate and Bruce to exchange ideas and plan how we can move forward support for Sharon’s Keep Left campaign and hopefully improve road safety on Skye and across the Highlands generally.